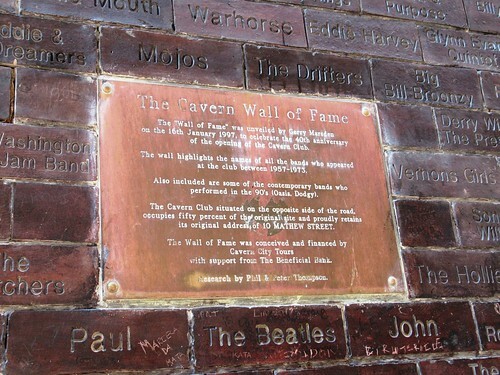 We had a trip to Liverpool over the bank holiday weekend, although I was a bit too young to be a great beatles fan at the time, you can’t go to Liverpool without doing a beatles tour. 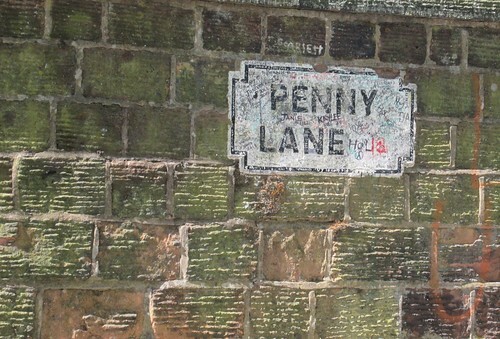 We drove past John Lennon’s house and down Penny Lane, and past the Sergeant Pepper roundabout. 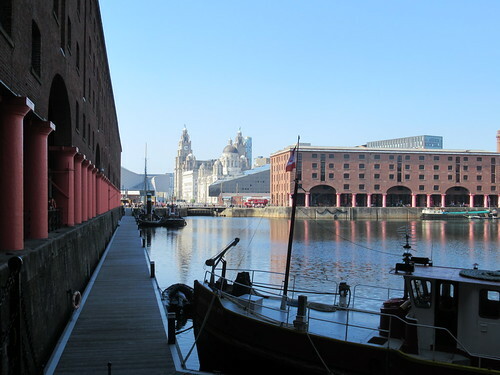 You can see the very impressive Liver building in this shot. 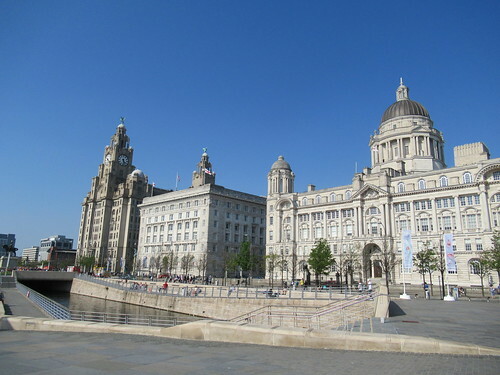 I have never been to Liverpool before but I knew of this building from watching the Liver Birds on TV in the 1970’s, I can hear the tune now. 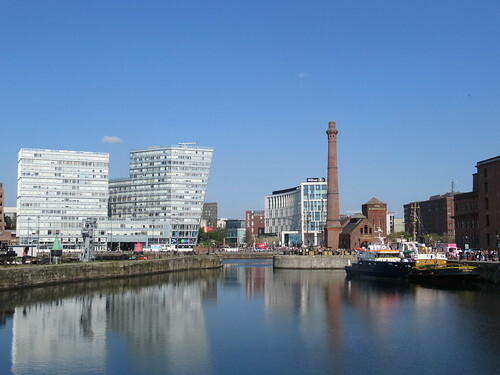 Liverpool gets it’s name from a small natural harbour which was situated between the Hilton building and the one on the left, which is also curved. 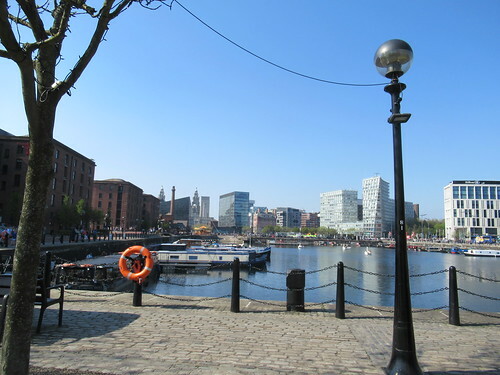 The land in front is reclaimed and it’s where the river Mersey would have been in 1190. Luierpul means muddy pool. 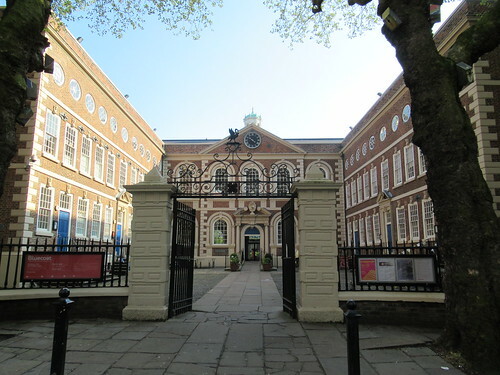 The Bluecoat School is the oldest building in Liverpool, it was built to educate poor boys but sadly this was financed from slavery. 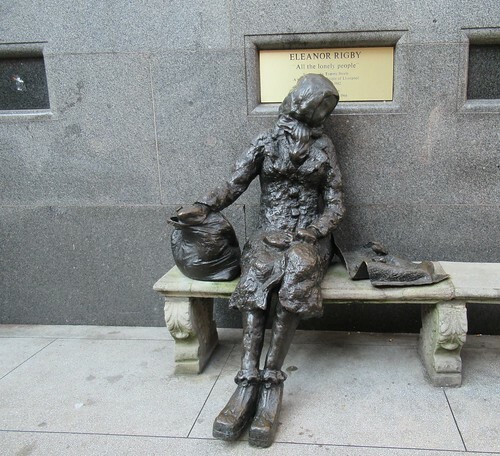 Eleanor Rigby sculpted by Tommy Steele and sold to Liverpool council for half a sixpence. 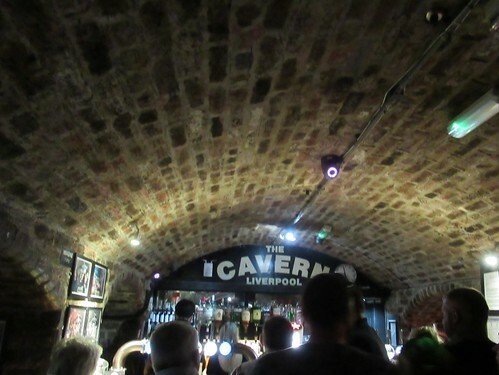 I got quite excited when we arrived at the Cavern club, it is the most famous club in the world. 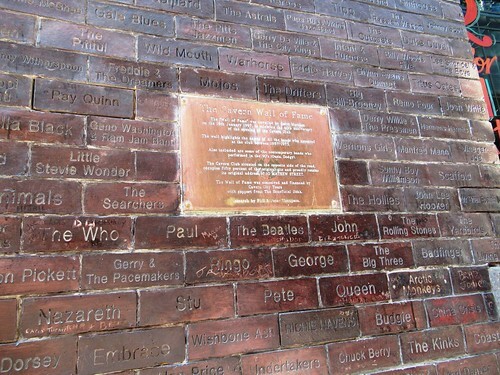 The wall of fame bears the names of acts that have performed at the club. 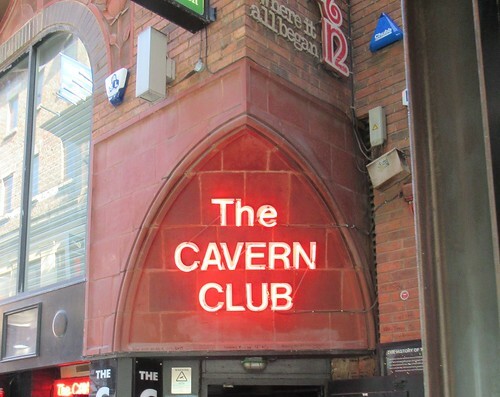 As you would expect on a bank holiday afternoon the club was heaving, we didn’t stay long. After a swift half to quench our thirst it was time to set off on our next adventure to Crosby, more about that later! 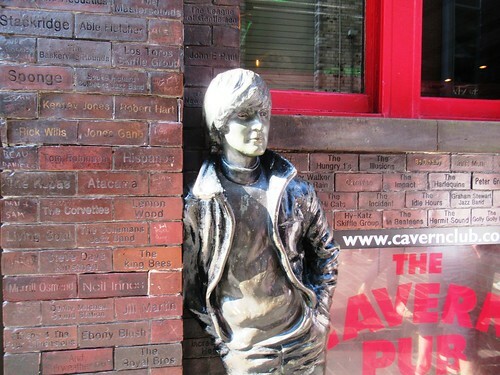 This entry was posted in days out, kiln fired art and tagged Beatles, Cavern, Liverpool. Bookmark the permalink. 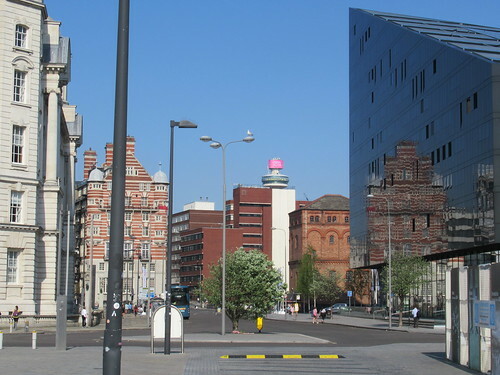 It’s a good place to see, I was there for three days, lots of interesting places, and a Youth Hostel close to the centre.